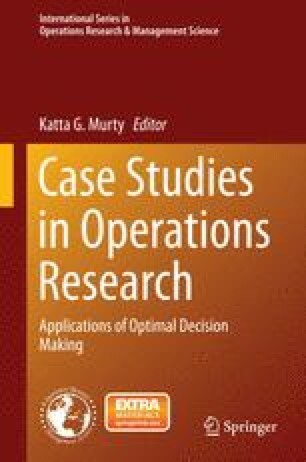 Routing and scheduling of public transport vehicles and other commercial vehicles is one of the most extensively studied areas in the operations research literature. Such problems include airline scheduling, scheduling of passenger and freight trains, transit bus routing and scheduling, and a variety of other vehicle routing problems. The routing and scheduling of passenger ferries is yet another problem in this class that received relatively little attention. In this chapter we discuss two integer programming models for finding optimal routes and schedules for the ferries so that the travel demands emanating at the ports at different periods of the planning horizon are satisfied while operating costs and passenger dissatisfaction are kept at a minimum. The online version of this chapter ( 10.1007/978-1-4939-1007-6_22) contains supplementary material, which is available to authorized users. We are thankful to Steve Anderson and Peter Simpson at BC Ferries for their help and support in this work. Comments of Katta G. Murty, editor of this book, improved the presentation of this chapter. This work was partially supported by BC Ferries and MITACS. The chapter is primarily based on our research paper , but it also includes additional new material and experimental results.